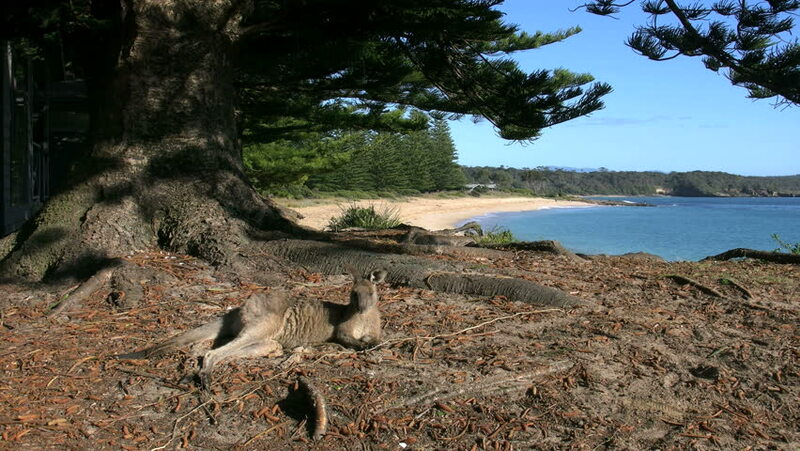 A kangaroo rests above a pretty beach. hd00:10A tree branch frames a view with a resting kangaroo. 4k00:10A tree branch frames a view with a resting kangaroo. hd00:30Close up of young active tourist riding bicycle on the stony beach. 4k00:20Dead Roots Of Palms And Trees, Costa Rica, Graded and stabilized version.